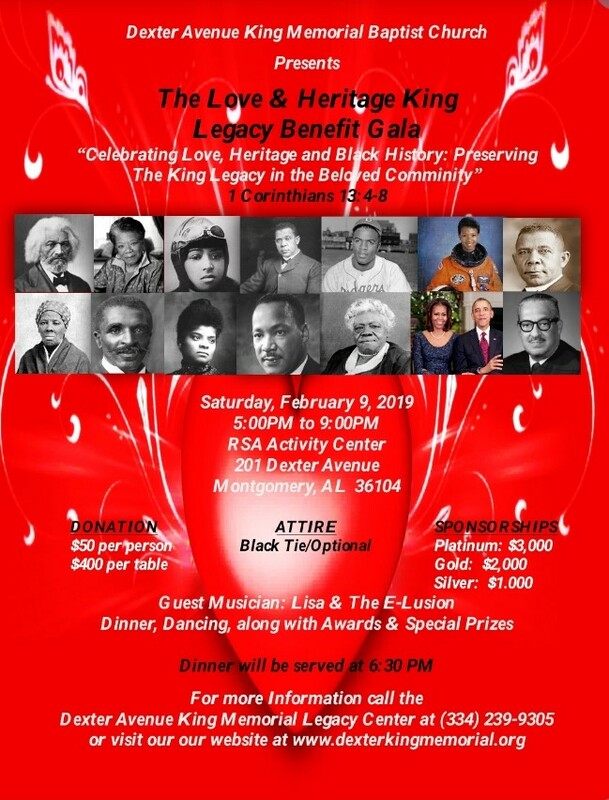 Dexter Avenue King Memorial Baptist Church cordially invites you to the Love & Heritage King Legacy Benefit Gala, formally known as the Sweetheart Heritage Celebration. Join us for an evening of dining, dancing, historical tributes, and special prizes. This event is a fundraiser for the Dexter Avenue King Legacy Foundation. People can RSVP online under the events tab or contact the Dexter Avenue King Memorial Legacy Center at 334-239-9305.